It is good value for money, the restaurant has nice food, staff is really helpful. Hotel location is ok and has a shuttle to beach that has sea turtles. The hotel is 15 minutes walk from an amazing beach and 5 minutes walk from a 5star resort where you can have some really good food. The best beach ever at only 15 minutes walking. You will see turtles in a turquoise water and even you will feel them!!! About the transfer to Long beach try to take avantage of theit snorkeling tour. Good food. 15mins walk from an amazing beach where you can swim with turtles. Free entrance into the Taaras resort. All the recepcionists were very nice with smiling faces. Variery of local food was available in hotel that was at very reasonable prices and good too. That's a Plus. Everything was cool ! I had a great holidays there. Redang De' Rimba is a hillside chalet offering views over the surrounding mountainous landscape. 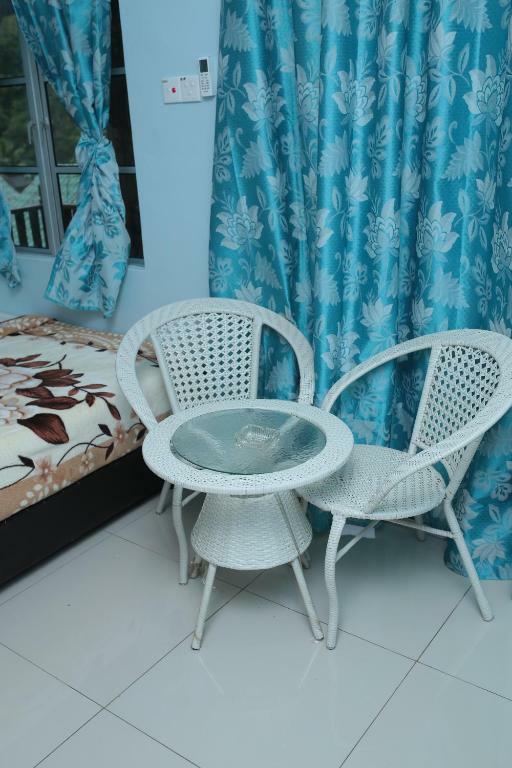 It features a restaurant, billiards facilities and rooms with free Wi-Fi access. Free parking spaces are available. Rooms feature a flat-screen TV, air conditioning and a wardrobe. The private bathroom comes with shower facilities. Room service is provided. Guests can sing their hearts out at a karaoke session, or play a game of darts. Other activities such as fishing and diving can also be arranged. The property is 28 mi from Sultan Mahmud Airport. This property is also rated for the best value in Redang Island! Guests are getting more for their money when compared to other properties in this city. 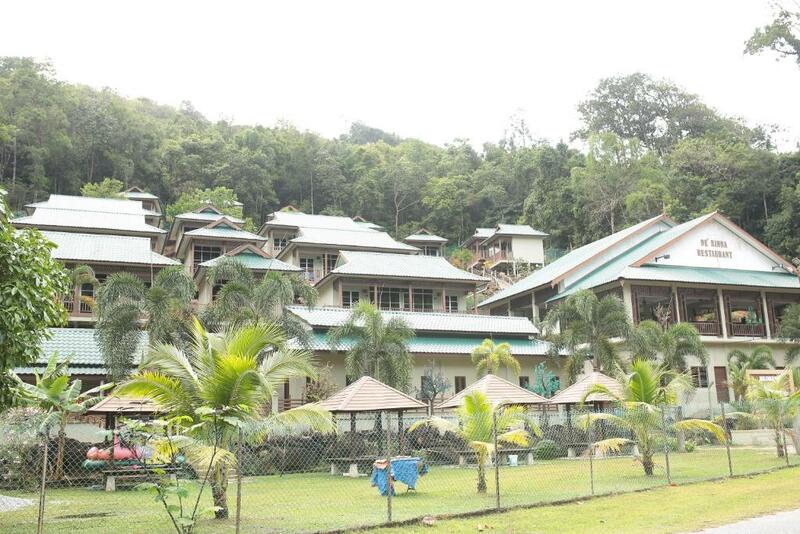 When would you like to stay at Redang De' Rimba? Room features a flat-screen TV, air conditioning and a wardrobe. The private bathroom comes with shower facilities. Room accommodates 2 guests on 2 single beds. Room accommodates 2 guests on 2 queen-size beds. Room accommodates 2 guests on a queen-size bed. House Rules Redang De' Rimba takes special requests – add in the next step! Please inform Redang De' Rimba of your expected arrival time in advance. You can use the Special Requests box when booking, or contact the property directly using the contact details in your confirmation. Lots of disappintments with management: 1) We approach thier counter at shahbandar jetty and ask for jetty tickets. All discusions and we decide to board from merang instead because shahbandar jetty was 2 hours later. They ask us to pay 620 myr without a reciept for tickets, pickup drop, marine park fee. We did pay it trusting thier management. Worst decision ever, when asked at hotel for return jetty, the rude receptionist says "you need manage the return with boat man on your own". This was not mentioned when we paid for the tickets and we start arguing because we were going to mis our bus back to KL. Why the hell did we pay you? We could have done the whole thing on our own. Later, she asks us to book private charter of 450 myr, we disagree ask for refund of return ticket so that we can manage our transport. We had limited cash and no atm on island, imagine our situation. After a lot of phone calls we get the boat at 9am. 2) My friend asked if they have a dish he saw somewhere (fished wrapped in banana). She cooked it and bought it to our table without even asking. we returned it and she slammed it on table saying "i dont know, you eat". I went back thrashed her that we are not paying for something we didnt order. Our conversation: " i dont know" < you should know. Im not paying because you dont know how to manage. " no need to order from us again" < we are leaving anyway ( am in crazy?) " you are having problem since evening" < offcourse we are because of your bad management. If you cant take care of transport than you shouldnt be charging customers for that. Customers can handle it by themselves. All of this when we confirmed our earlier order like 4 times when she was writing it down. I asked her to explain the logic for not eating the fish, she said "maybe you are full now". Just think how stupid they are. Who does that? Do you think 4 adults cant finish a fish. It is a budget hotel so we didn't expect too much but at list they could take better care of the rooms. Closet and bed were almost destroyed... Food wasn't good neither and the same opinion had the other guests. Our room was at top of the hill so we had to climb 120 stairs. Taxi too pricey at MYR10/pax for return trip to ferry jetty. Should be foc. I feel like not worth for the money as I didn’t get the facility for that price, shower is broken and not enough space to have a proper shower. What picture gives isn’t what you get. They should either reduce the price or increase the facilities.